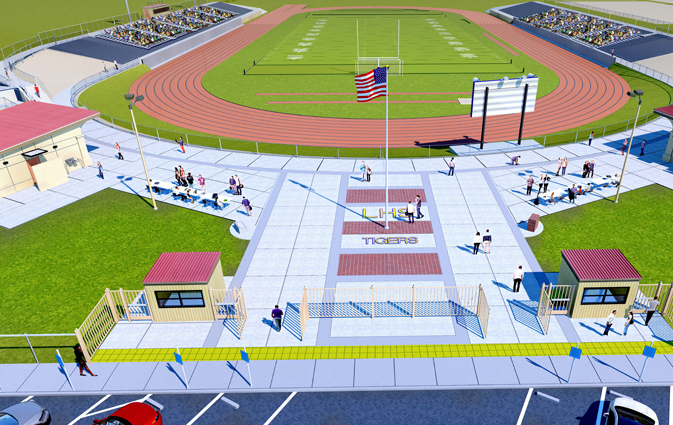 TETER-designed projects at Lemoore High School are actively under construction. Originally published on THE SENTINEL on June 14, 2018. 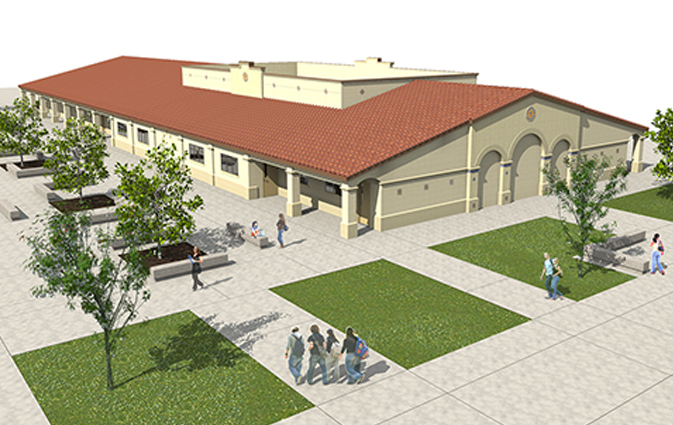 LEMOORE — This summer Lemoore High School has begun work on its bond projects from Measure L in 2016. Debbie Muro, the Lemoore Union High School superintendent, said the district hopes to have all work in this first set of projects completed in November. The first bit of work on any of the bond projects began in March. Since then the school has completed five projects of the 10 projects for the year. Completed projects include installing new cables, painting the main building, installing a new well, repairing roofs and installing a service road for fire and safety. The projects still being worked on are creating new concessions and restroom buildings for Tiger Stadium and between the baseball diamond and tennis courts, building a press box for the stadium, making a new walkway on the home side of the stadium, remodeling the weight room, transforming an old shop building into an engineering building, building an athletic building with room for cross fit classes and building two classrooms at the ag farm. Measure L from the November 2016 election was passed with around 66 percent. It was a $24 million bond measure. As of May 2017, the district sold $11 million in bonds funding the current round of projects. Muro said that next year the school is hoping to re-plaster the pool and create shade structures. The district originally planned on doing this project this year, but due to a paperwork mishap had to hold off. 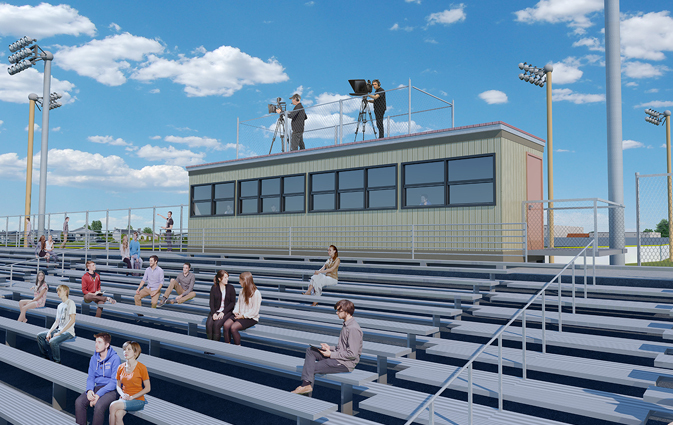 Other future projects include a tennis court expansion, a new academic building, a science building remodel, the resurfacing of the stadium parking lot, a library remodel, energy management systems expansion and landscaping improvement projects. 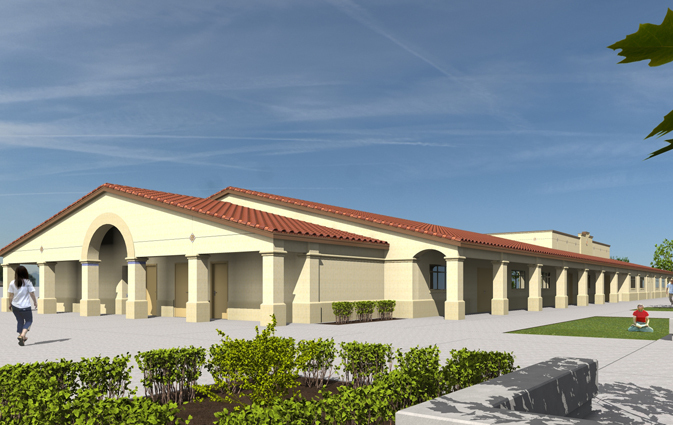 Lemoore High School’s new Academic Building. (Rendering by Arnoldo Espindola). Some of the other projects on the table will bring improvement to the Jamison High School site — a new administration building, a new multipurpose room and upgraded portable classrooms. Some of their regular maintenance planned projects include new flooring or carpeting in the gym, cafeteria and presentation center.